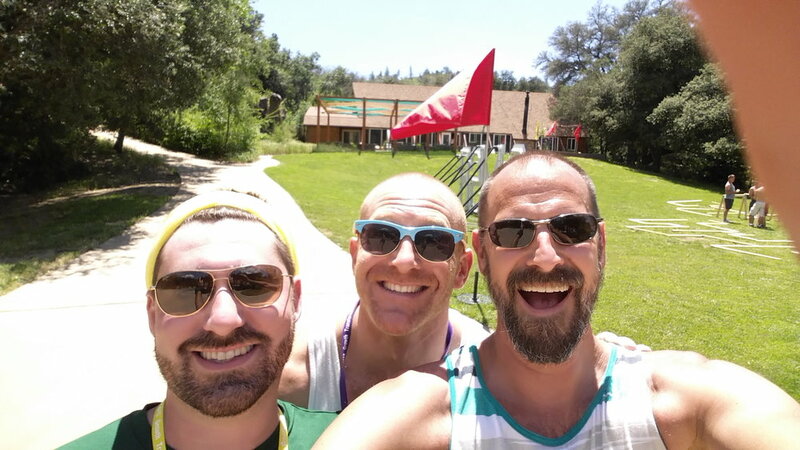 Enhancing the spiritual lives of gay men. Feel a sense of awe and wonder under the magnificent starry sky, and be filled with gratitude that we are a part of this wonderful gift called life. Tune out of the buzz and tune in with dynamic individuals and the splendor of nature. Take action by registering and join us for a fun and sober weekend in beautiful Julian, California. 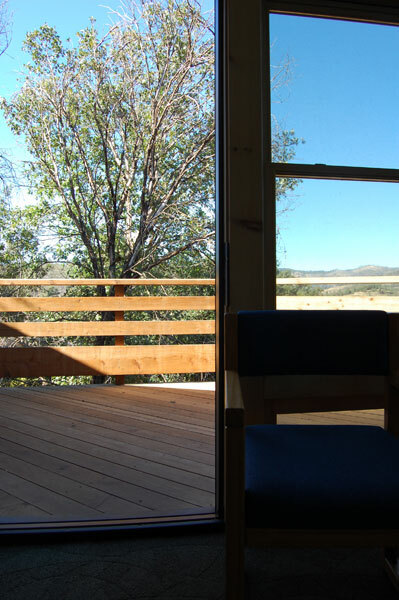 The camp is nestled into the side of a mountain on the outskirts of Julian, California and offers spectacular views of Volcan Mountain and the surrounding area. 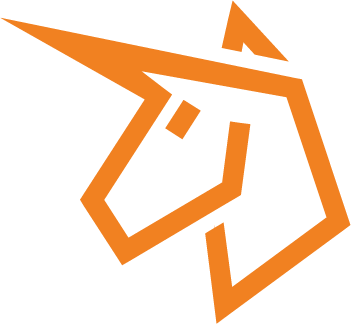 Facilities are well kept and most are within a short walking distance to the main camp. Cabins are clean and modern, some with track-lighting and a fireplace. Sleeping arrangements are mostly dormitory-style, and the bunks have only mattresses so be sure to bring bedding, sleeping bag, pillows, etc. Feel free to decorate your bunk, your room and your common areas! Camp Stevens takes great care to prepare tasty, nutritious meals for GMSR, carrying their respect for the Earth from their gardens to the kitchen and onto the table. We sit down together, family-style, to celebrate the bounty and to enjoy and promote a community atmosphere. Camp Stevens’ food is unprocessed, seasonal & local, plant-based and organic … and delicious! Meals and snacks are provided, starting with dinner on Friday and ending with lunch on Sunday. Snacks, soft drinks, and bottled water are available at all times throughout the weekend. Registration in Bishop's or Lax-Sadler Lodges. Deluxe registration is limited. Four-hour ropes course with a group of men allows you to do things you didn't think possible, with a period for reflection at the end. You can do it ... you will be supported! We provide scholarships for a certain number of men each year who would not ordinarily be able to attend. If you would like to donate to the scholarship fund, we thank you. The key difference between the "standard" and "deluxe" rates is the cabin. 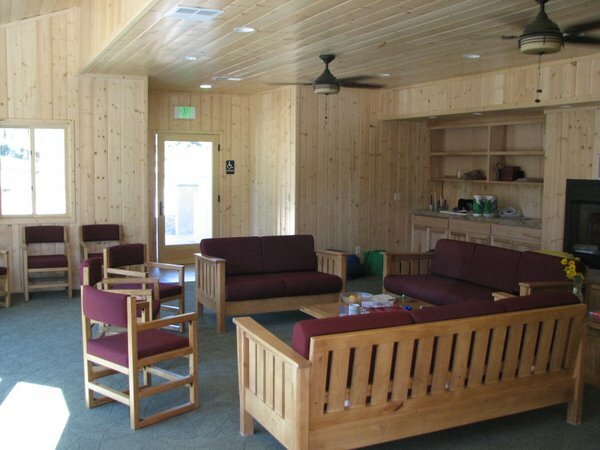 All accommodations are great at Camp Stevens - the "deluxe" cabins are slightly newer. See the accommodations page for more details. The high ropes course offers a variety of individual and/or partner challenges. One of the major benefits of a high ropes course experience is the increased self-esteem that participants get from doing things that they thought were not possible. As they complete the first element, their sense of confidence grows. Each high element offers a new challenge and the discovery of a new strength. The program is completed with a group reflection on the experience. This helps participants process the experience and discover how they can apply these new learnings to other situations. We are very fortunate to call Camp Stevens home to our annual summer retreat. Our Dining Hall is located in the middle of the main camp area and can accommodate up to 120 guests comfortably. Tables seat up to 10 persons each. Meals are served family-style and as much food as possible comes from our gardens, is locally grown or is organic. It is lovingly prepared by our kitchen staff. 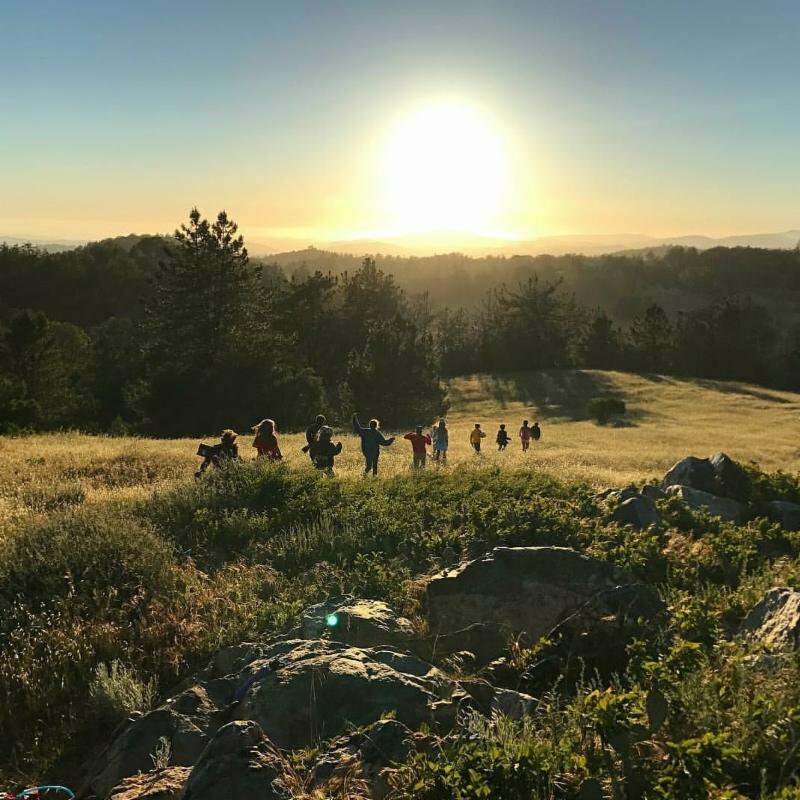 Camp Stevens has 3+ acres of land under cultivation, providing spaces for reflection, inspiration and learning as well as physical nourishment for our guests, campers, and resident staff. From egg-laying hens to fruit trees, our farm, gardens and orchard each cycle through their seasonal stages and produce a good amount of the produce and all of the salad greens and eggs that our kitchen uses throughout the year. All guests are invited to explore the gardens, on their own, or with a guided tour. 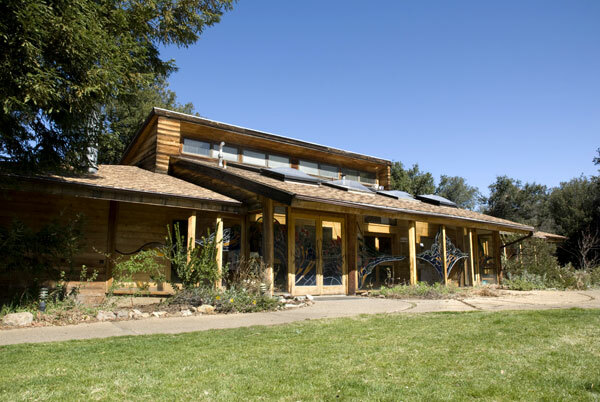 Designed by James Hubbell, the Chapel of the Transfiguration was rebuilt after the 2007 fire, and is now a bright, welcoming space for groups or private mediation. A nearby labyrinth is open for individual use at any time. 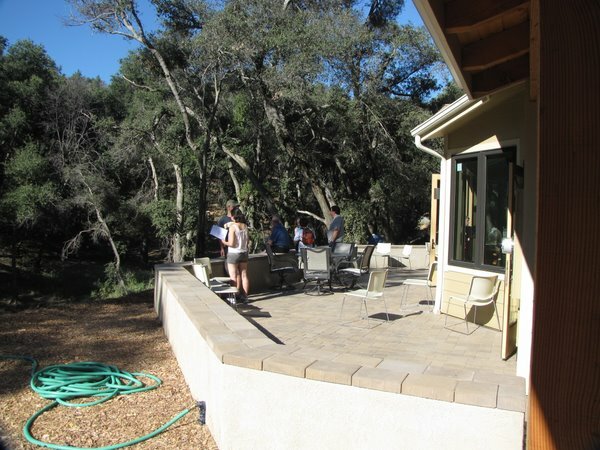 Archery, Swimming, Hiking Trails, Climbing Wall, Ropes Courses, Campfires, Arts and Crafts, Garden Tours. This comfortable facility was completed in 1987 and features a beautiful James Hubbell stained-glass window that spans the length of the entry alcove. Upstairs there is a large meeting room that can accommodate up to 150 guests. It can be divided into 3 smaller meeting spaces if needed. The lodge also includes 2 fireplaces, 3 pianos, a small kitchenette for snacks, and a library that may also be used as meeting space. Restrooms and the coffee bar, located in the entry alcove, are accessible from each of the meeting areas. 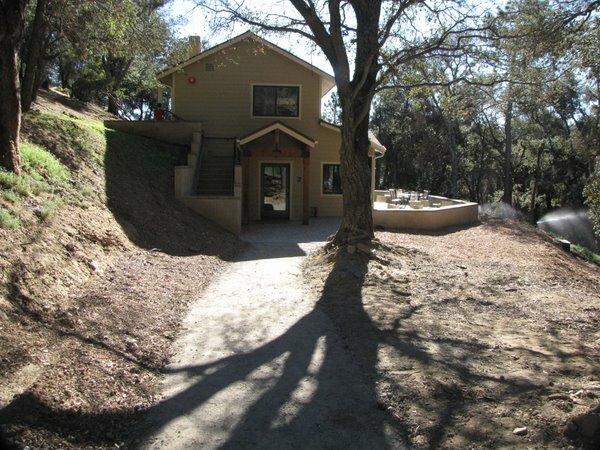 The lower floor of Blum Lodge sleeps 48 persons in 8 rooms. 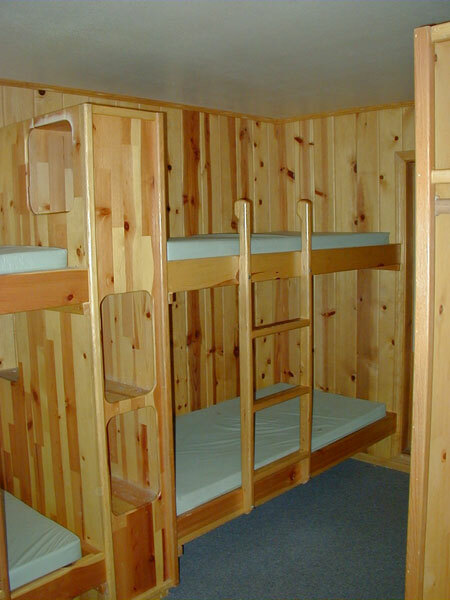 Each room is fitted with 3 wooden bunk beds. There are large, wheelchair accessible men's and women's restrooms located across the hallway. Rebuilt in April 2009 (after being destroyed in the 2007 fire), the central meeting room features a beautiful fireplace created by James Hubbell, a kitchenette, coffeemaker, refrigerator and microwave. 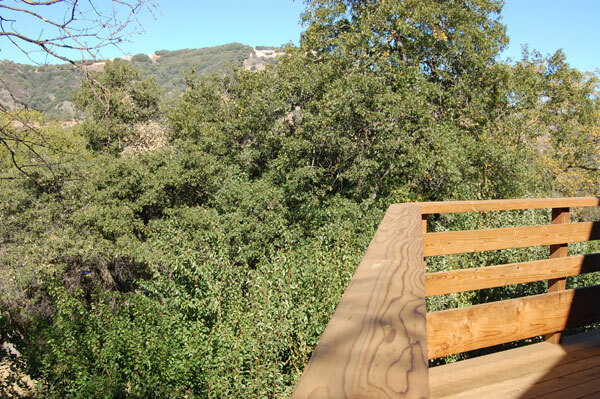 The northern side of the meeting room opens onto a deck with a fantastic view of Volcan Mountain. Wolterstorff Lodge sleeps 24 persons, 6 persons to a room. Each room has 2 bunks and 2 lower beds. Off the main hallway are located wheelchair accessible men’s and women's restrooms with showers. Completed in 2010 Lax-Sadler Lodge is located near the swimming pool and volleyball court area and accommodates up to 28 persons. It has five 5-person bedrooms and one 3-person room with double bunks, each with a private bath and shower. The comfortable common areas include a fireplace, outdoor patio, microwave, refrigerator, and coffee maker for guests to use.